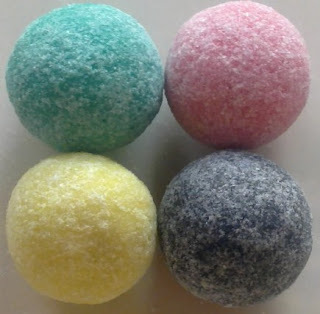 You should try to sneak the candies in a party and describe the observation of the reactions of unsuspecting candy lovers. 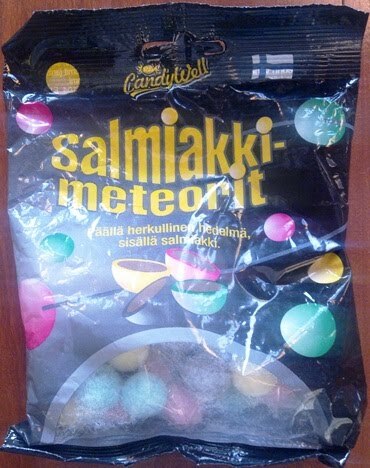 the small text says "delicious fruit on top, salmiak inside"
I haven't tasted these, I've got to try! Btw, you've got to review salmiakki chocolate. It's very.. interesting experience. I never tried these before. Sounds so delicious that I'll buy these tomorrow... ...if I can find these somewhere. Even google knows only this page. Oh, I really really REALLY love these! They're my absolute favorites! Another favorite that I have are the rusty cars, I think they're produced by the same company, Stoneman.